Is this for real? Is 2015 really and truly coming to an end already?! I’m not going to lie… I am definitely ready for another new and exciting year, and already have so many amazing ideas and events lined up. However, I’m also a firm believer that it’s always a good idea to reflect–not dwell–on your past accomplishments. Sometimes it may feel like you haven’t done enough, worked hard enough, or whatever you might be feeling. But, if you’re anything like me I’m sure you’ve been working that booty off like a mad woman! Don’t despair if things aren’t working out exactly as you would like just yet. Just keep working hard, and I know you’ll accomplish your dreams! 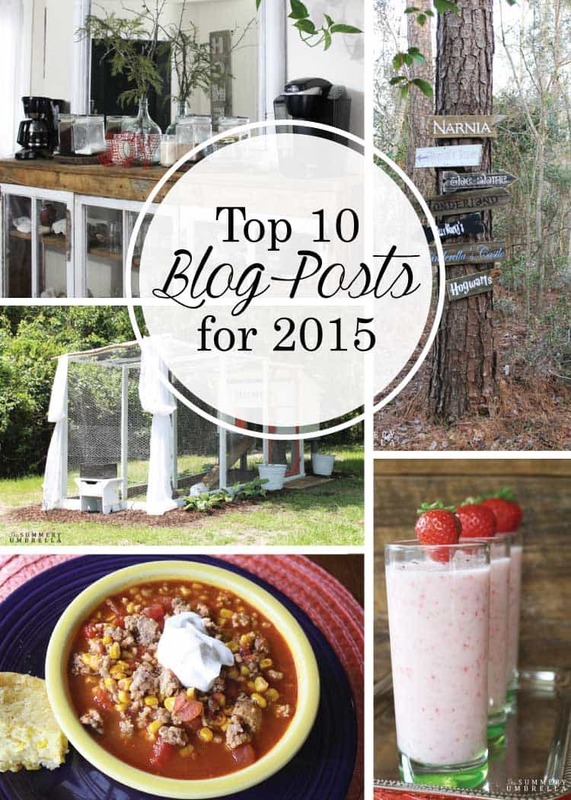 Can you believe that my number one post for 2015 was one of my recent posts? 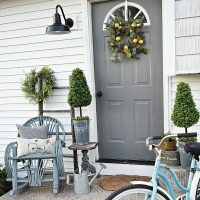 This little beauty focused on some of the best rustic decorations that I found all over the web, and it was also sooo much fun putting together! I’ll definitely need to do more posts like this in the future. Who doesn’t like coffee? Ok, ok. Not everyone loves coffee… but come on! How cool did this stunning monstrosity turn out? Awesome, right?! I still love waking up in the morning seeing this gorgeous thing come into view! I’m not going to lie. This is another shocker for me! But I totally get it. I could totally drink a strawberry smoothie every day. Right after my first coffee that is! This is definitely not a surprise. It is sooooo yummy and my entire family (and Danielle’s ;) absolutely LOVES it! So much in fact, that my husband will actually request it. You know it must be amazing if he’s requesting it! I’m still amazed at how awesome our deck turned out after a “quick-ish” paint update. Stay tuned though. 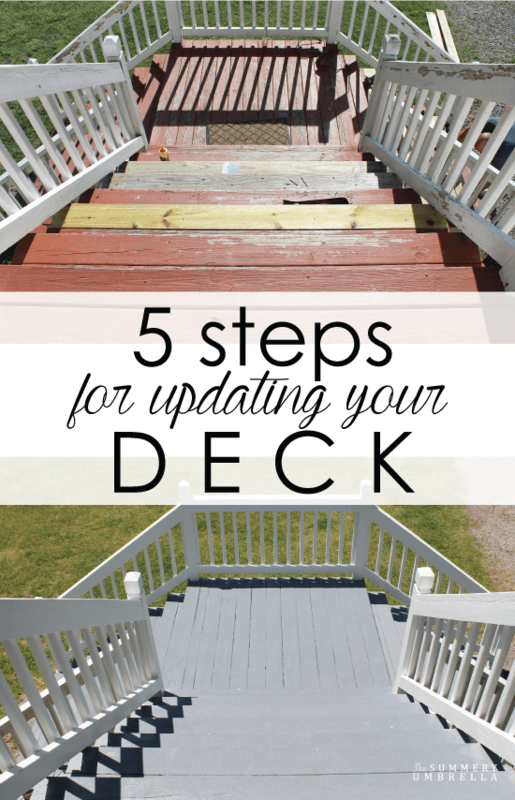 Another deck update is in your future! I just love my cutie-putie chicken coop, and (thankfully!) so do the chickens. Once the weather is a little more consistent I will definitely be doing another update for this post as well. More tips and tricks and what works and what doesn’t! Every time I walk through the woods (which is actually at a bare minimum of daily) I end up smiling when I see these signs. 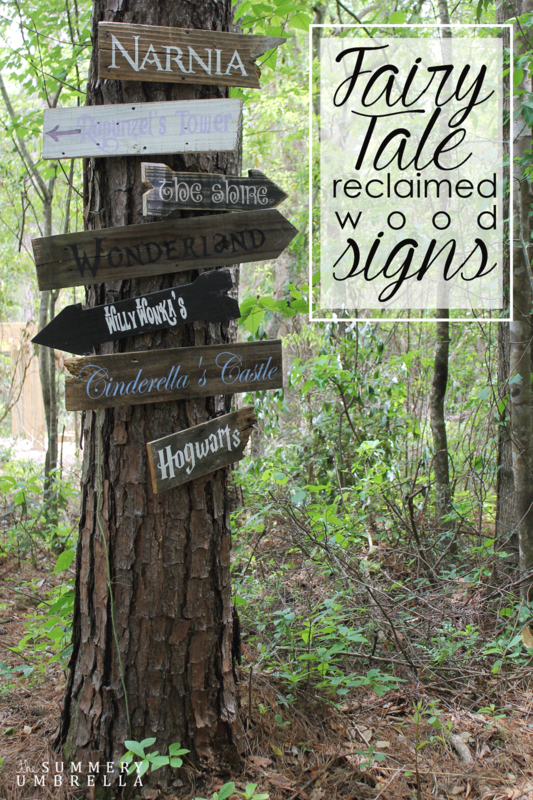 It’s so awesome to see that my love for fairy tales is also very close to your hearts as well! Alcohol and absolute yumminess. Need I say more? More alcohol and yumminess, but a little darker. Soooo good!! Definitely a must try! This is probably my favorite focal point in the whole yard. Well, besides my studio that is! There’s just something about a waterfall that just makes me incredibly happy, and apparently I’m not the only one. Great minds, right? And that’s it folks! My top 10 TSU posts for 2015! I hope you’ve enjoyed this year as much as I have, and hope to see you more next year as well! LZ, these are awesome posts!! That’s so cool that you made your own waterfall!! I’m planning to make a coffee station in the upcoming year so I’ll be taking some notes from you. Gotta have coffee!! I can’t wait to see what you do in 2016!! Happy New Year!!! LOL. You most definitely HAVE to have coffee ;) I can’t wait to see what you create. I know it’ll be fabulous! It’s so fun to look back at everyone’s most popular posts. 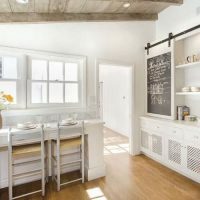 You already know how much I love your chicken coop, but I’m also not surprised to see your coffee station in your top ten – it’s gorgeous! Have a great start to the new year! Thank you so much, Jenny! :) And I will most definitely be doing a “chicken coop update and tips” in the future. For instance, hostas around deer territory is no good. Lol.